France’s intelligence chief has questioned NATO’s claims of Russia preparing to attack Ukraine as their agents failed to spot any activities signaling this - either before or after the crisis began. A statement by the chief of France’s military intelligence, General Christophe Gomart, was published on the National Assembly’s website. NATO’s top brass has been incanting mantras about a “Russian invasion” ever since the crisis in Ukraine began a year ago. NATO Secretary-General Jens Stoltenberg, as well as his predecessor Anders Fogh Rasmussen, have lashed at Russia on numerous occasions, claiming that the Russian military is present on the ground in Ukraine, but failing to provide evidence supporting these claims. 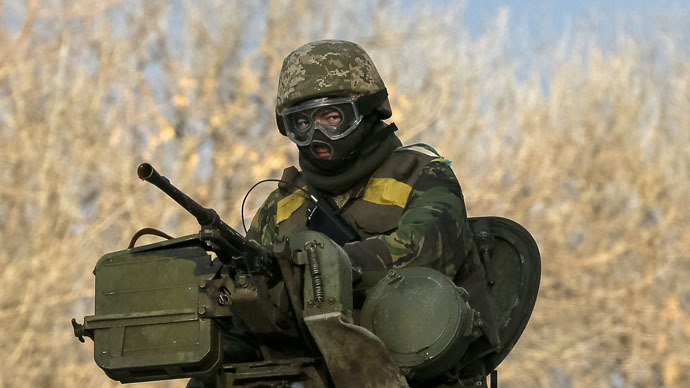 “Our conclusion eventually proved correct because even if some Russian soldiers had indeed been seen on the Ukrainian side of the border, it was just a ploy, meant to bring pressure to bear on President Poroshenko, rather than an attempt to invade Ukraine,” General Gomart said. The French intelligence chief’s remarks came in the context of France’s role in NATO. Gomart noted that at the moment the alliance is dominated by US intelligence, while France’s intelligence is taken not taken into consideration so much. “France will not be fooled. France has its own sources of information and we are aware what the explanation for the crisis in Ukraine is,” Philippe Migault, expert on Ukraine from the University of International and Strategic Relations, told Sputnik news agency after Gomart’s remarks were published. Frants Klintsevich, of the United Russia party, said the report showed US intelligence has been working to fulfill a political order. The Commander-in-Chief of the Finnish military, Jarmo Lindberg, said on Saturday that Russia hadn’t taken any steps that could be regarded as a threat towards Finland. “Between St Petersburg and the Kola Peninsula, Russia has only one airbase and one warehouse with military equipment. If in the Soviet period there were over 5,000 soldiers there, now there have been less than 5,000 military returned. It doesn’t play any crucial role on the global scale,” Lindberg told a local TV channel, adding that the nation has to reconsider its military readiness.